Back in May 2017, LSAC began testing a digital version of the LSAT in select cities for limited applicants. Students were able to take a free-of-charge, tablet-based LSAT in what LSAC labeled a “Digital Pilot Test,” where the test makers could gather data and collect feedback in the final stages of their transition from a paper to a tablet format. 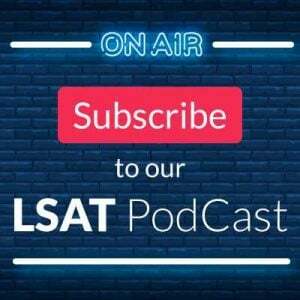 The question on everyone’s mind ever since has naturally been, “So when will a Digital LSAT become reality?,” and up until today no one had a clear answer. LSAC announced this morning that they will begin transitioning to a digital version of the LSAT starting in July 2019, with a full switch to digital in September 2019. To best understand this news, let’s take a look at the message LSAC sent and examine its key points in more detail! After two rounds of digital pilot testing, LSAC will finally do away with the decades-old paper LSAT beginning next September. At which point all remaining 2019 LSATs—both October (also newly-added with this announcement) and November—as well as all 10 LSATs in 2020 will be given on a tablet, with no paper option available. Note that this only applies to North American tests; international test takers will presumably have the familiar, paper-based exam available for a while longer. Here’s the first real surprise in the announcement (beyond the full-scale September kick off itself): those testing in July of next year won’t be able to choose paper or tablet, but will instead be randomly given one or the other, apparently without warning before the test as to which they’ll receive! LSAC describes this as “a best practice” for moving to a new format…but I’m inclined to label it unfair. Or at least needlessly secretive. Imagine preparing for a paper test, walking in to take it, and being told you won’t need that number 2 pencil because it’s tablet time. So here’s hoping they give some sort of advanced warning as to the type you’ll take, and also offer plenty of digital prep materials early next year so that students can be ready for either option. And now some truly interesting news: anyone who tests next July, regardless of paper or tablet, will have the option of cancelling their score after seeing it upon score release! We’ve confirmed that this will only be for July 2019 test takers, but it’s a rare opportunity to cancel only when you know with certainty that you didn’t hit your target. So despite the seemingly arbitrary and mysterious nature of how the July test will be offered, it’s something of a no-brainer to take it: either you get the traditional paper test and have a perfectly transparent cancellation process available, or you get a digital test (which you’ll have prepared for anyway) and get both great experience in the event of a retake as well as a chance to cancel after knowing your results. The cancellation will be on your official record, the same as any cancelled test is currently, but as we’ve discussed many times previously schools don’t care about one or two cancellations when evaluating applications. All students who cancel also get a free repeat offer that’s good through the following April (seven subsequent test dates), so again with these considerations in play July may be the most attractive test of 2019! 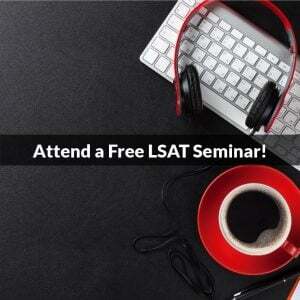 We’ve talked at length about the format of the digital LSAT, so this is mostly old news. Note that free online tutorials will also be provided before the roll out begins in July, so anyone looking to test at that point or beyond would be well-served to spend some serious time getting comfortable with the new platform and learning how to best approach it. We’ll be developing our own digital practice content—reshaping all of our current books and courses to match the new interface—so students will have ample opportunity to receive excellent prep perfectly suited to the tablet-based LSAT! Look for that content to be available starting next spring! The rest of this is standard, party-line talking points from LSAC, meaning nothing noteworthy beyond the updated test date schedule (in the pdf linked above). So some big news out of Newtown this week! If you’re reading this at the time of writing it may well be the case that the approaching digital makeover has no impact—most people in October 2018 will have the test behind them by mid-summer 2019—but if you do find yourself eyeing a test date in late 2019 or beyond it’s absolutely critical that you are not only aware of these changes, but also intimately familiar with the new test format and the strategies most effective for success within it. 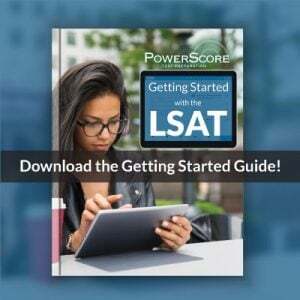 Thoughts on the LSAT going digital? Let us know below, or get in touch at lsat@powerscore.com! I am curious to know, is scrap paper provided? Will test takers be provided with scratch paper so they can prepare diagrams to help answer questions? Same question as all. Scrap paper? Hey Sequeoia – great question! You get a booklet of scratch paper, about 12 pages or so (or at least that’s what it was last May during the pilot test) and a pen to write with. The pen also has a stylus bun on the other end for controlling the tablet screen, although it’s touch-sensitive so you can can use fingers too. Does the test allow to make “digital” notations right on the test? For example if I want to circle key words in the reading comp section? Will we be allowed to highlight and circle the important part of the passages on the tablets? Yes, you can highlight and underline. However, you cannot circle or otherwise write on the test screen. Do you have an idea of when you will have a new prep course to match new digital test? Yes, we’ve been meeting about it for months now! The good news for us is that our methodology and strategies aren’t affected at all—the questions themselves and the content of the test are not changing. So, the changes we will be making are about the test presentation and interface. That’s a software project, and they’ve begun writing the code for the new test format already. Given that no one will take a Digital LSAT until July of next year, we won’t release that until spring of next year at the earliest.